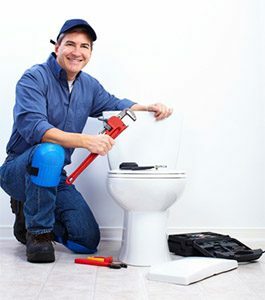 Are you looking for a plumber who can take care of anything that comes up in your home in Azle, TX? At Lightfoot, we have some of the best plumbers in the state ready and waiting to help you out. No matter what you need, we’ll get it taken care of quickly so you can get back to focusing on the things that are the most important to you. Do you need a plumber in Azle, TX who can take care of a complicated sewer problem, replace your water heater, or unclog a stubborn drain? There’s no plumbing issue too big or too small for our skilled team. We promise to get you to as fast as we can, assess your problem accurately, and come up with a solution that will leave you completely satisfied. Do you need to add something to your plumbing system? Maybe you need a water line for your new spa or fridge or you want to replace the sink and faucet in your kitchen. No matter what you’re looking at doing, we’ll help you get the right pieces and get them installed. We always recommend appliances and fixtures from brands we have come to know and trust. Our plumbers can help you with ordering, delivery, and installation to ensure the process goes smoothly from start to finish. When you call Lightfoot as your plumber in Azle, TX, you’re calling in a team that cares about you and your family. We want to fix your home and we want to do it right because we know that having your home the way you need it is one of the best ways to reduce your stress and help you thrive. Call us now to speak to someone on our scheduling staff. We’ll find a time that works for you, then send out an experienced plumber. Our plumbers arrive on time. They will also be some of the most polite plumbers you’ve ever met! They will keep your home clean and make sure they tidy up after themselves, too. You won’t be sorry you called Lightfoot when you have your best ever experience with a home services team.